Julie O’Brien, owner of Firefly Kitchens is in the natural fermentation business. She started Firefly Kitchens (fireflykitchens.com) in 2010 to introduce the health and nutritional benefits of fermented produce to the masses. 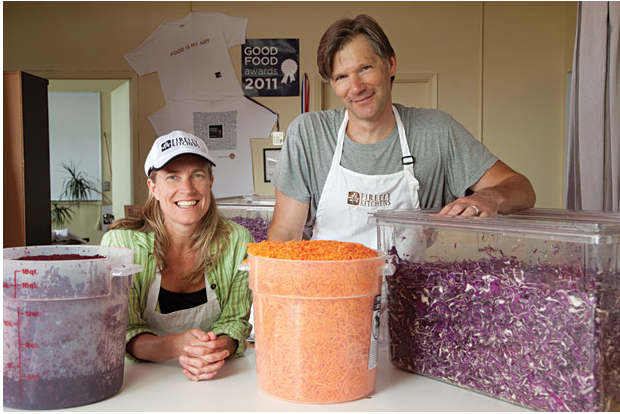 Using traditional fermentation methods they have fermented over sixty tons of organic and sustainably grown vegetables, sourced primarily from local, family-owned organic farms. This process keeps the nutrients at the highest level possible. Learn from Julie and her team about the health and nutritional benefits of fermented food, enjoy a healthy meal and sample a variety of Firefly products from signature sauerkrauts and cabbage-based salsas to Firefly kimchi. This meeting is open to non-member professional women in the fields of food, beverage and hospitality. Please be sure to make your reservation by January 20th.